Feeling nostalgic? 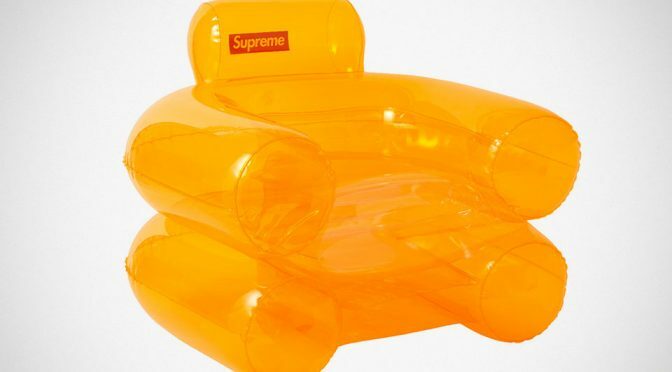 If you don’t, American pop culture brand, Supreme, is giving you a reason to with the Supreme PVC Inflatable Armchair. Yes. You heard that right. 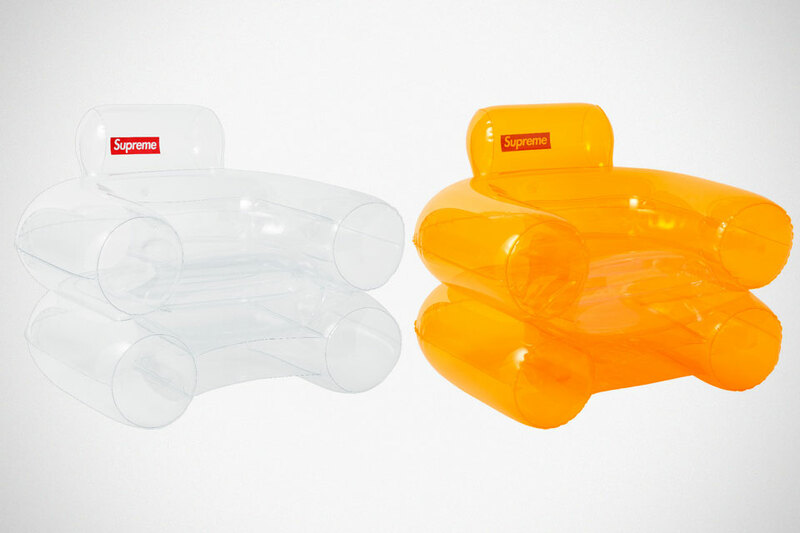 Supreme is poking into every aspect of your life which now apparently includes this inflatable chair that will take you right back to the good’ol 60s. 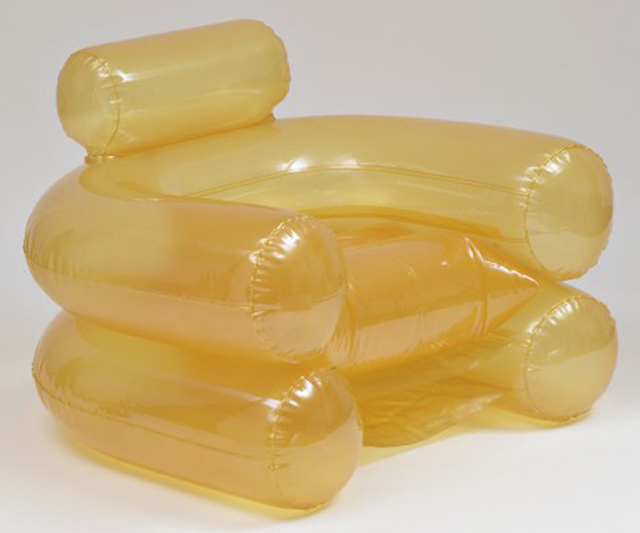 The Supreme PVC Inflatable Armchair, which is part of the brand’s Fall/Winter 2018 collection, drew its inspiration from the first mass-produced inflatable chair called Blow Inflatable Armchair designed by Jonathan De Pas, Donato D’Urbino, and Paolo Lomazzi. OK. May it did not ‘draw’ inspiration from the original. 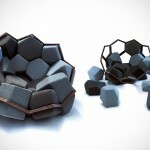 It is more like a reboot of the iconic 60s furniture. But it is not entirely a copy; from what we can see, it differs a little. Supreme’s iteration features a removable seat cushion (which I believe to be an inflatable too) and looks to be more ‘solid’ when inflated. Makes sense, right? After all, this is 2018 and the original was back in those days where manufacturing tech was not quite sophisticate yet. It does have similar size, though, coming in at 41.5 x 36 x 33.25 inches (about 105.4 x 91.4 x 84.5 centimeters). 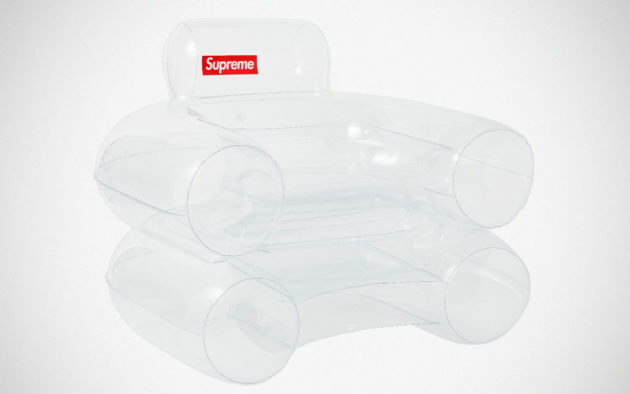 Supreme PVC Inflatable Armchair will be available online from the brand’s web store starting August 25, 2018. We are not sure of the pricing though because, last checked, the web store is currently closed in preparation for the brand’s Fall/Winter 2018 collection.